Thank you for visiting the Best Crossbow Source website. 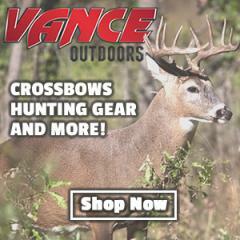 This place was created with one goal in mind: to become the ultimate resource, the go-to place for people interested in buying a new crossbow, learning how to use it, maintain it, and how to hunt using it. We realize just how tiring it is when you have to scrounge the web for little bits and pieces of information, often going through dozens of different websites to finally get a clear picture of what it is you should do. This is exactly what we want to help you with. We want to provide you with a source of information that is so comprehensive and reliable that you will likely never have to check another crossbow website again. So bookmark this website, and make sure to come back to it whenever in doubt and whenever you need to learn something. All of our articles, guides and reviews are written by people with at least 5 years of experience in crossbow shooting, archery and hunting, so you’re guaranteed to get advice from experts instead of beginners who oftentimes have no idea what they are speaking of, despite the fact that they might sound experienced at first glance. We hope that you will enjoy going through this the Best Crossbow Source just as much as we enjoyed creating it. And please – if you did find this place helpful, kindly help us out by letting your friends know about us – you might be surprised how many of them might develop an interest in crossbow shooting. The easiest way is to use any of the social sharing buttons here – it takes just a few seconds and you’ll be doing us a huge favor (and probably your buddies as well). Again, thank you for stopping by. We hope your hunting trips are fruitful, that you never have trouble hitting a bulls-eye, and that your arrows will fly with authority every single time. Hi Joe, what do you plan on using the scope for? Excuse me in advance my awful English. I found your website just for chance but I can tell I really appreciate it. Wonderful website full of very interesting information. I own an Excalibur Equinox with a Hawke XB1 1,5-5 x 32 Map scope and an Excalibur Exomax with a Hawke XB30 Compact 1,5-5 x 32 Map scope and use them just for target shooting because hunting with crossbow is strictly forbidden here in Italy. My shooting range, standing (no bench rest), goes from 30 to 70 yards and I’m really very satisfied of my purchase. Great to hear Federico, thanks for posting! Thanks for your attention for a all inclusive detailed informative site! One thing I might have missed that a beginner as well as an experienced shooter should be aware of reminded of is the technique you touched on but do not elaborate HOW important good technique is shooting consistently well with crossbows.I thought I was going to get one and Robin Hood arrows right away since I was a decent bow shot already but found out quickly how important the basics of good shooting show up drastically with crossbows the same as with air guns opposed to high power firearms. Mounting the stock to the shoulder, cheek on stock the same every time,not gripping the grip too tight as well as the foregrip,proper triger pull and maintaining the position as follow through all must be adhered to closely for consistent accurate shooting. Use of a cocking rope is also necessary to prevent inconsistent limb pressure. Any flaw in any one of the steps is amplified as a fault and makes for inconsistent accuracy.practice practice practice to get as near perfect form is imperative to make any crossbow shoot well. If you think you know how to shoot and pick one up, grip it too tight, jerk the trigger, pick your head up to watch where the bolt hits, you might as well not try to sight in the scope. I learned the hard way, I hope you don’t! Great Site! I’m from the UK and not a customer but do appreciate the effort that has gone into “Best Crossbow Site” (OK it should be called that). The technical side is very useful and has helped me in my technical understanding. One subject that you might develop here is that of momentum. This is because crossbows and bows are not so much kinetic energy weapons as momentum weapons. They kill not by the arrow dumping massive amounts of kinetic energy into the pray but by using the momentum to penetrate the target. Indeed KEs are quite low compared with firearms with the minimum KE chart showing KEs covering roughly the middle range of the available KEs in .22 cartridges. But you wouldn’t hunt grizzly bears with such. At least not more than once! In the UK the maximum allowed pellet KE for an air rifle is a mere 12 ft-lbs. Even so a rather dated study shows that on average in the UK one person is killed every year by such a weapon and apparently 40% are suicides. Not a good thing. If you compare this with a very basic 150 draw rifle crossbow costing maybe $70 the bolt energy is about 36ft-lbs (subject to manufactures specs being accurate). This is three times the muzzle energy of the full power air rifle. While this is enough to make such a weapon lethal the main difference between a 15 grain pellet @ 12 ft-lbs and a budget crossbow bolt is the momentum. While I forget the weight exactly (about 350 grain? )this I calculated at 8.6 times the momentum in the pellet. This momentum is what gives crossbows their lethality. If this is compared with a very powerful crossbow – the Talisman Mantis Elite – with a bolt KE of 280 ft-lbs roughly the 350 grain bolt has a momentum 23 times that of the air rifle pellet but just 2.7 times that of the budget crossbow. The kinetic energy is 7.8 times higher than the budget crossbow bolt. As I see it the kinetic energy in a hunting scenario is used to break structures, mainly bone, where energy is required to break these self reinforcing structures. Beyond that penetration is mainly a job for the bolt momentum where even a budget bolt kind of energy might do. The other important role for energy is by increasing the range and accuracy of the weapon. In comparison a crossbow bolt (with broadhead) might be described in effect as being closer to (being run through with) a broadsword that a firearm. I shall leave that ambiguity intact. I used to archery hunt with a compound bow, but I tore my bicep a few years ago and haven’t archery hunted since. I would like to get back into archery hunting, but since I tore my bicep I am unable to draw a compound bow so I would like to purchase a crossbow. I don’t want to spend a lot of money on one so I am looking at a few budget priced ones. The two that I am interested in are the CenterPoint Sniper 370 and the Barnett Jackal. The only thing that I really plan on hunting with it is deer. Could you please tell me which of these two you think would be the best or any others that would be good? It seems that both the Sniper 370 and the Jackal have really good reviews.